At 1 Accounts we love technology – we always have. Using technology to make life easier for our team and our clients has been one of our core values and aims from the outset. We pride ourselves on being at the forefront of technological change, we are the ultimate #gadgetguys. 1 Accounts’ commitment to using technology to streamline processes, to automate mundane, repetitive tasks and to drive efficiency ensures we can spend more time helping clients. Online accounting enables you to manage the transactions in your business using a cloud based accounting software package. The software package is “in the cloud” which means that you can access files and applications anywhere, anytime. As accountants we can also see your data in real time allowing us to advise on actual data, not past data. Xero was founded in 2006 in New Zealand and was launched to the UK market in 2008. In the last decade Xero has grown to over 253,000 users in the UK. The award winning software is ideal for small to mid-sized businesses. Easy to use with some very powerful features Xero can integrate with over 700 third party applications. What our clients love most about Xero is the way in which the software handles bank reconciliations. This time consuming chore has been transformed through the use of automated bank feeds. 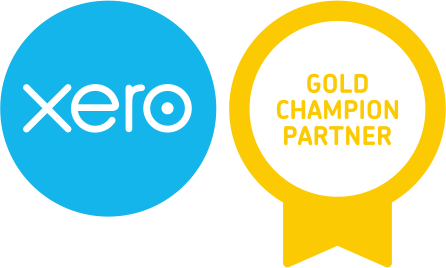 1 Accounts has been working with Xero since 2016 and is a Gold Partner with all members of the team Xero Certified Advisors. Sage UK’s cloud based accounting software, Sage One, was launched in 2011. Sage One was rebranded to Sage Business Cloud and is now recognised as Sage Accounting. Sage Accounting offers a suite of online solutions making it suitable for all types of businesses, from start-ups to scale-ups and enterprise businesses. Sage Accounting is simple to set up and use. The accounts can be configured to suit the requirements of the business from the outset. The entry level version is very affordable for sole traders and freelancers. Receipt Bank is a cloud based application that automates book-keeping and data entry. Simply install the app on your smart phone, take a photograph of the receipt via the app and press the submit button. It literally takes seconds! The app then extracts the data from the receipt, the team at 1 Accounts review the data and publish it to your accounts. Invoices can be emailed to a special email address and are treated in a similar manner. Receipt Bank is a Xero product and so integrates seamlessly. Life is far too short to be adding receipts manually! GoCardless is a UK centred payments gateway. It is the easy way to collect direct debits based on the bank to bank payments system. It can be used for direct debits or recurring payments for either fixed or variable amounts. It is used by over 30,000 businesses, from sole traders to multi- nationals. It is simple to set up and there are no set up fees or contracts. It integrates with Xero and Sage. Stripe is a payment processing platform specifically for online payments using credit and debit cards. Stripe is used by over 1 million businesses worldwide, from start-ups to public companies. The platform has a high level of functionality and can be used for all types of business model – subscription service, on demand marketplace, e-commerce store, crowd funding projects – the application is unlimited. What sets 1 Accounts apart? Technology drives the business and always has. 1 Accounts uses Xero Accounting, Xero Payroll, Practice Ignition, Karbon, GoCardless, Stripes and Futrli to manage the business. By using these applications 1 Accounts has first-hand experience of the technology and applications that can help a small business to operate more effectively. 1 Accounts does not and never will use time sheets in the business. Why does this matter? Traditional accountancy firms bill clients for their time – six minutes on the phone, you’re billed! That does not happen at 1 Accounts as all clients are on fixed monthly fees. Not being a slave to time sheets means that 1 Accounts has a happier team and happier clients. 1 Accounts were pioneers of online accounts. Paul was promoting the benefits of “the cloud” long before Making Tax Digital (MTD) came over the horizon. Many traditional accountants have jumped onto the online bandwagon but they are late to the party and a long way down the experience curve. If you want to work with a team that really understands the concept and benefits of digital accounts, and who are Xero and Sage Business Cloud Gold Partners, it is time to talk to 1 Accounts.